Swapfiets started in a very classical way. A group of friends from Delft that had a good idea and just tried it out. For a fixed price per month you get a Swap bike and we make sure it always works. It turned out to be a great concept. 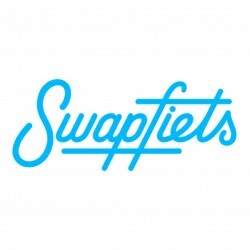 After a period of using second hand bikes and fixing them ourselves Swapfiets has now arrived at a point where it has designed its own bike and started spreading out to all the major cities in the Netherlands. An iconic blue front tire is placed on every bike. This way you can tell which bikes belong to Swapfiets and who is part of the family. Meanwhile more and more people find out just how convenient Swapfiets is. Awesome service made simple.